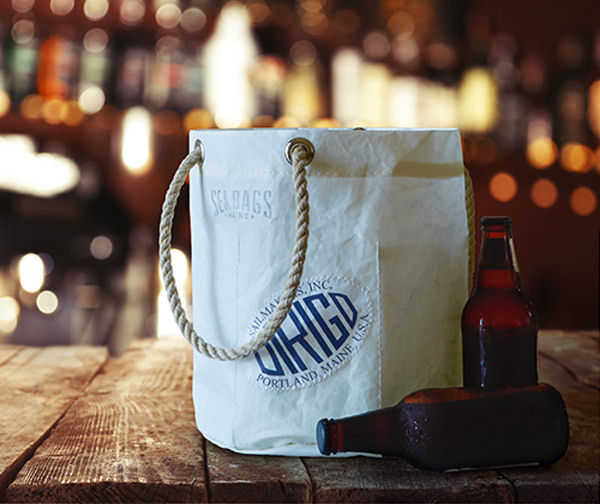 Water-resistant sail cloth makes the perfect material for an easy to use, collapsible cooler. 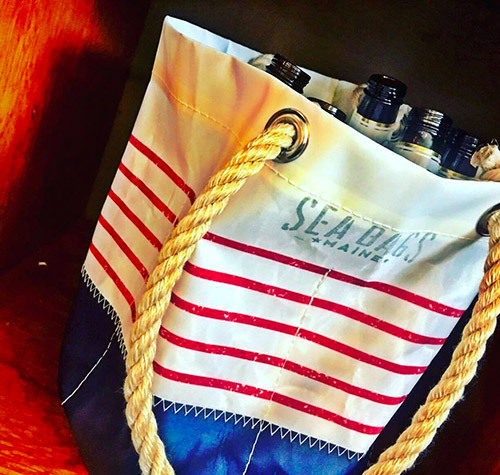 Customers love our Beverage Bucket Bag for tailgating, trips to the beach, or days on the boat. 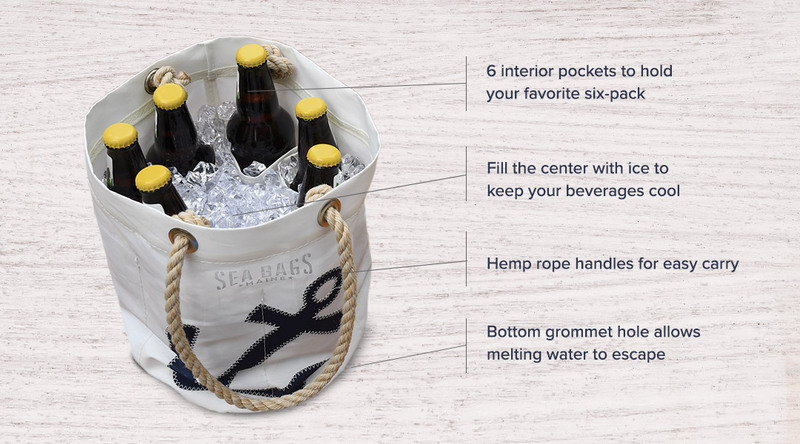 This versatile bag features six interior pockets sized to hold a six-pack of your favorite beverage. 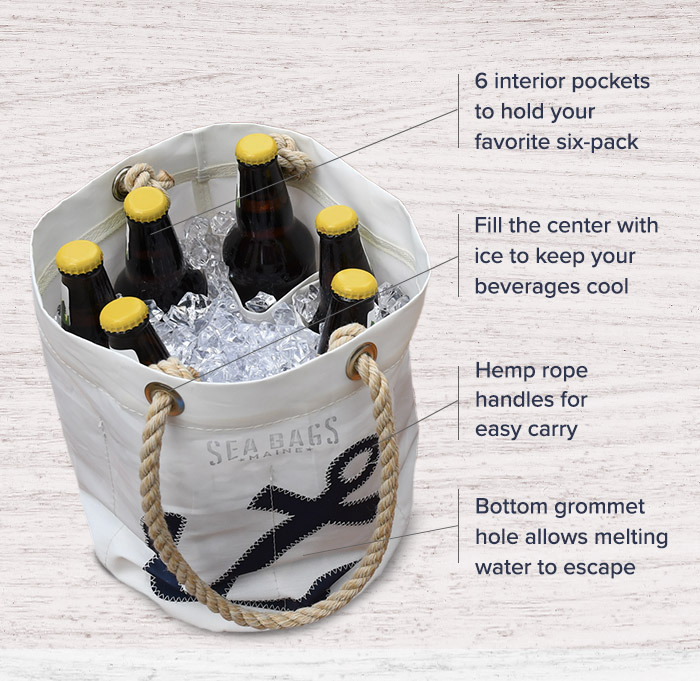 Fill the center with ice and you've got a perfect collapsible cooler. 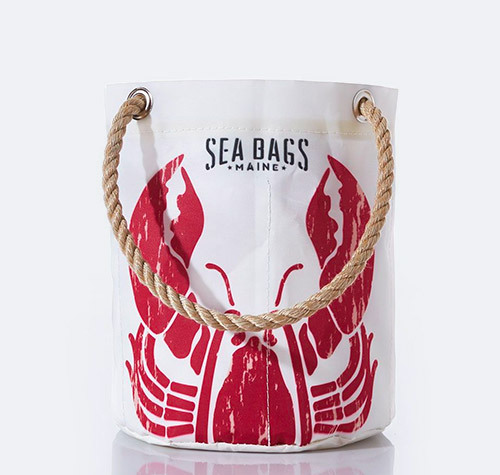 Melting ice escapes through a grommet hole in the base of the water-resistant recycled sail cloth. 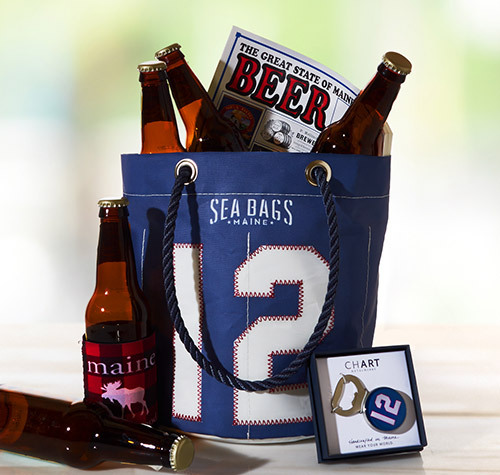 When not being used as a beverage tote, use it to hold and organize tools, crafts, or toiletries. Or use it to display plants and flowers or a creative centerpiece; the possibilities are endless!